When you’re shopping for a new car, which features do you pay the most attention to? Most of us judge a car based on its engine capacity, its fuel efficiency, its size or the level of comfort it offers. Few of us, on the other hand, pay much attention to our car’s battery. As one of the most important parts of any modern vehicle, your car’s battery manages a massive range of tasks and devices, from starting the engine to powering in-car computers. In addition to changing your oil, replacing air filters and other general service tasks, taking care of your car’s battery is one of the most effective ways to ensure your car runs smoothly and without any problems. Flat or damaged batteries are one of the top causes for roadside assistance calls, and a huge amount of breakdowns occur because of batteries that are simply too old for the job they’re performing. In this guide, we’ll break down the facts regarding your car’s battery and help you determine when it’s time to choose a replacement. We’ll also share car-specific tips to help you get the most from your vehicle’s battery and extend its lifespan. Although batteries can last for five years or more when properly cared for, most car batteries will become worn down and inefficient within three years of everyday use in normal conditions. Just like your computer or smartphone’s battery becomes less efficient with every charge, your car’s battery gradually deteriorates every time it’s charged up by the vehicle’s engine. After three years, it’s normally time to install a replacement. After four or five years, most car batteries will be almost completely unreliable. Old car batteries can present a number of safety and reliability issues. Luckily, it’s easy to identify if your car’s battery is nearing the end of its lifespan. Does your car’s electrical system respond like it should? Even a car with a highly defective battery will function properly once it’s running, since much of the charge for the battery will come from the engine. This makes the best time to test your car’s battery shortly after you switch your vehicle on. 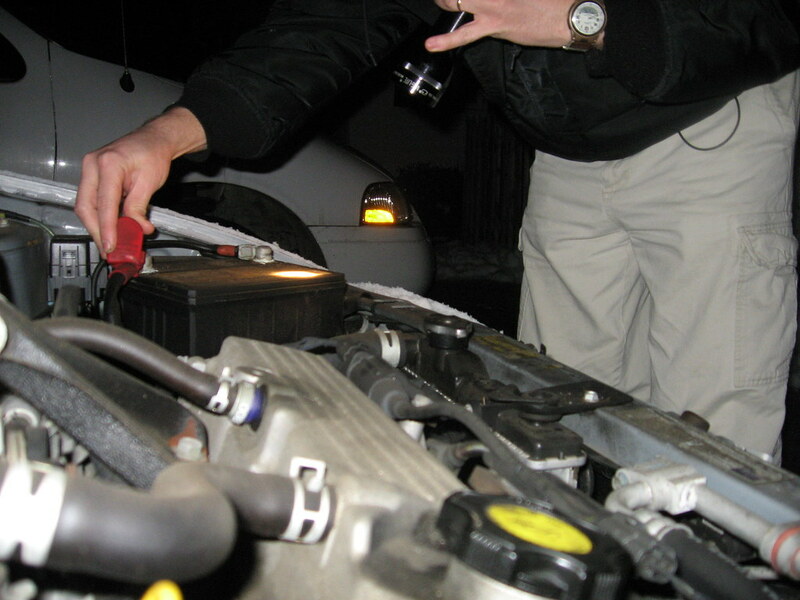 Your car can still start quickly, even with a failing battery. However, features that have significant power demands that are powered by the battery, like headlights, may not function as well as they should. Try starting your car at night with the headlights switched on. Are they dim? If the headlights look overly dim, put the vehicle in park or neutral and rev the engine. If the battery is failing, the headlights will get brighter as you apply the accelerator. This is a great way to check if your battery is starting to fail. A completely broken battery is even easier to spot: when you turn the key in the ignition or push your car’s ignition switch, it won’t start at all. As a general rule, the more sophisticated your car’s on-board computers are, the bigger the strain on its battery. Many new cars have powerful computers that are operating all the time, even when the vehicle itself is parked and switched off. These computers can draw energy from your car’s battery at a slow, steady rate, wearing it down over time. Although the charge each computer draws is tiny, the aggregate effect can drain your car’s battery when it sits unused for a long time. If you use your car infrequently, avoid letting its battery become drained by on-board computer systems by taking it for a short drive – around the block once or twice will do – to recharge its battery every week or two. The next time you take your car into the garage for a routine service, make sure to ask for its battery to be checked. Battery wear isn't always steady – your vehicle’s battery could go from 90% performance to 20% over the course of a few months. Testing a battery is easy, and every reputable garage or repair shop will have its own set of electronic testers on hand to test yours. Regular tests can reveal when your battery needs to be replaced and help you avoid embarrassing breakdowns. If your battery is showing signs of wear and hasn't been replaced in two or three years, don’t take any risks. Car batteries are inexpensive, and the small cost of a replacement is worth it to avoid the stress of a roadside breakdown. Does your car use stop-start technology to save petrol? Cars with engines that are designed to automatically switch off when at a standstill place a greater strain on their batteries than standard vehicles, and often need to use a special battery. If your car has stop-start technology and you’re replacing its battery yourself, make sure you purchase a suitable replacement. Your nearest automotive shop will stock a battery designed to accommodate your vehicle’s extra needs. By the way, if you’re replacing your battery yourself – which is quite simple on many cars – it’s important that you dispose of it safely. Find your nearest hazardous waste disposal service and never throw your car battery out with the rest of your rubbish. Just like driving aggressively will wear down your vehicle’s tyres and brakes, driving without thinking about your battery will reduce its lifespan. If you take good care of your battery, you’ll be able to get far more life out of it than usual. When was the last time you replaced your car’s battery? Whether your car works as new or its lights and other electronic devices are starting to show signs of age, there is no bad time to check your battery’s condition. Changing your car’s battery every 2-3 years will keep it running at its best and help you avoid embarrassing roadside or car park breakdowns. Is it time to replace your car’s battery?